When creating a longer, more voluminous eyelash look, you want a mascara that delivers on every occasion but sometimes no matter how good the mascara promises to be, it never seems to do your lashes any justice. The release of the new The Colossal mascara by Maybelline promises to be the mascara that you can rely on to perform every time but does it live up to expectations? To find out read on and check out our review of Maybelline The Colossal Volume Express mascara, helping you decide whether this is the perfect mascara for you. What is Maybelline The Colossal Mascara? Maybelline The Colossal Volume Express mascara is an eyelash enhancer which aims to give you colossal lashes in just one coat, creating up to 9 times more volume instantly. 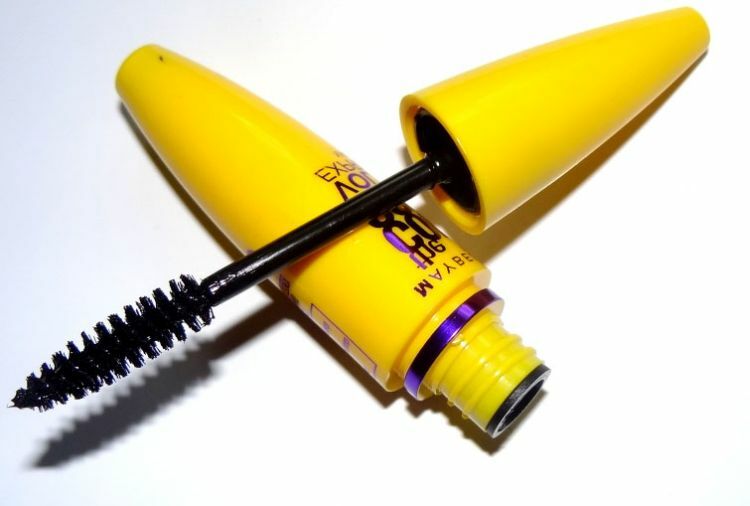 It uses a mega colossal brush which separates and builds up your lashes to create ultimate volume with no clumps. Additionally its collagen formula helps to strengthen your lashes, making them look and feel longer, stronger and darker. How Do You Apply Colossal Volume Express Mascara? Make sure your eyelashes are clean and free of any make up. Dip the applicator brush into the solution and being to sweep the brush from the root of your lashes to the tip, plumping your lashes to achieve dramatic volume. For an even more dramatic look, apply a second coat but do not let the mascara dry between coats. To remove your mascara use soap and water or a reputable oil free makeup remover. What are the benefits of using this mascara? This mascara lives up to expectation by giving you longer, voluminous lashes. The combination of the mega brush design and the collagen formula gives your lashes the boost they need, accentuating your eyes, giving you the ultimate eyelash look. Its formula makes it contact lens safe, making it available to those who have sensitive eyes as well as being easy to wash of with soap and water, a rarity for a mascara which is so thick and gives you so much volume. It also comes in brightly coloured packaging making it easy for you to spot in your makeup bag, is affordably priced, available across a number of online and offline retail outlets and comes in a waterproof version which is always an added benefit. When using the waterproof mascara version of this product, it is harder to remove when either using soap and water or a makeup remover and so may not be suited to those who have sensitive eyes.